Want the perfect outfit for opening night? 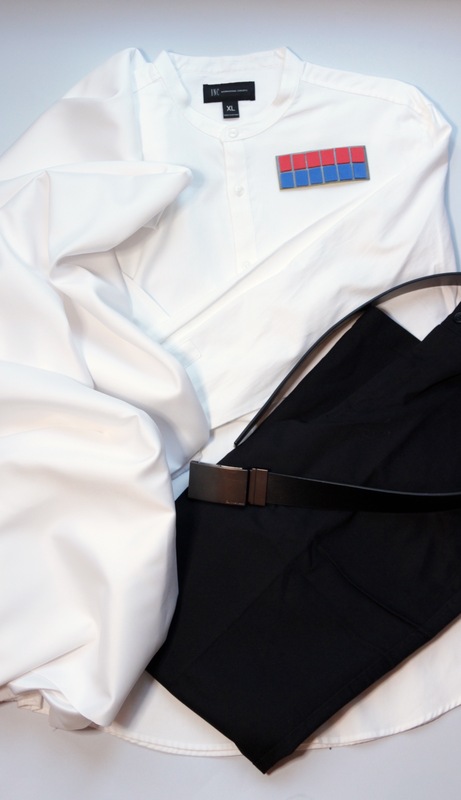 Learn to make your own Rogue One costumes! 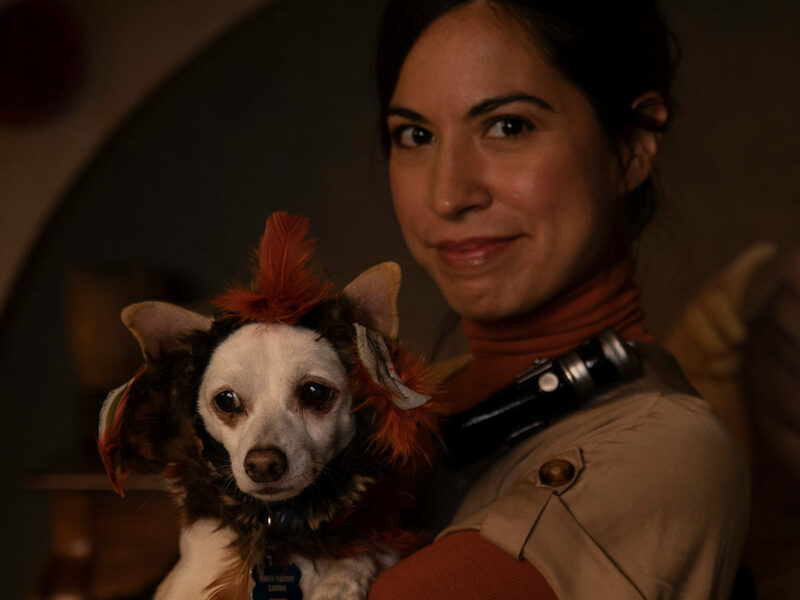 Rogue One: A Star Wars Story hits theaters December 16 (in the US) and like any good rebel, you’re prepped and ready for this big moment — you’ve pre-ordered your movie tickets and set up the meeting time with your friends — now, there’s only one thing left to do…cosplay! 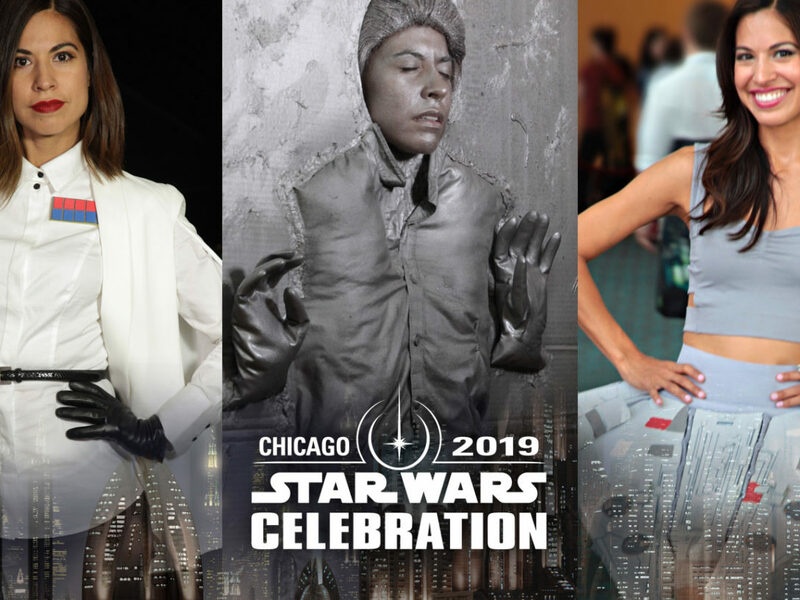 Dressing up to watch the film is a fun way to celebrate this exciting Star Wars event. 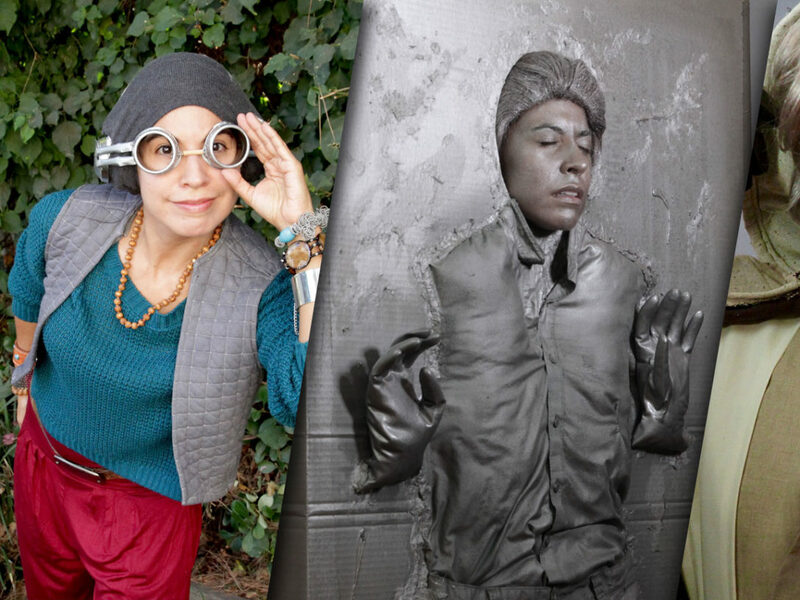 So if you’re looking for a DIY costume to get you into the Rogue One spirit, here are a few ideas! 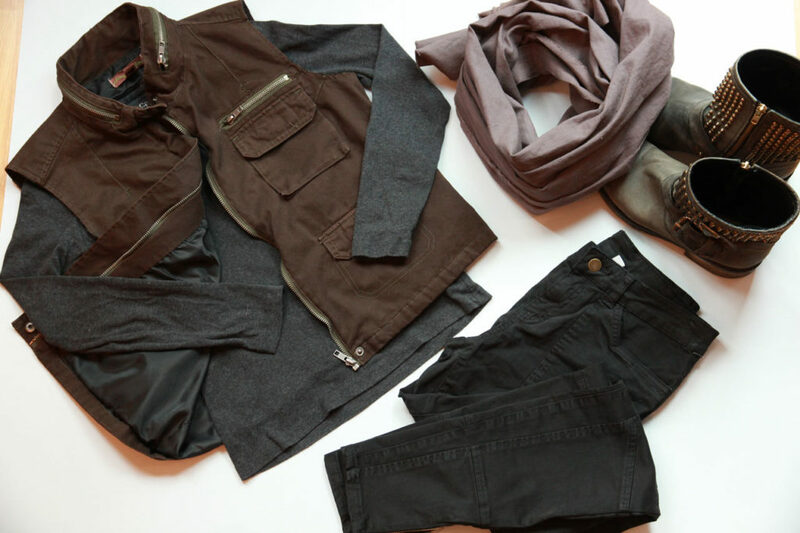 Battle the Empire, and the winter weather, in this Captain Cassian Andor ensemble! 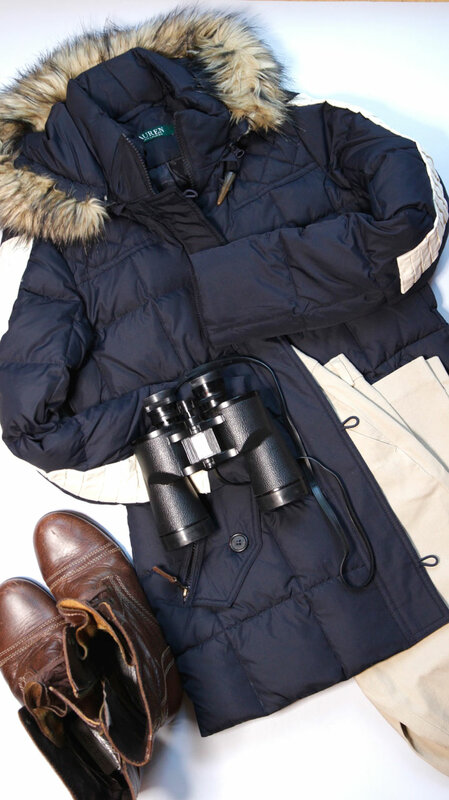 Parkas are popular this time of year so it should be easy to complete your costuming mission. Keep in mind that if your hooded jacket doesn’t have a fur trim, you can add it yourself! Simply hand-sew a strip of brown faux fur (available at most fabric stores) onto the hood of your parka. 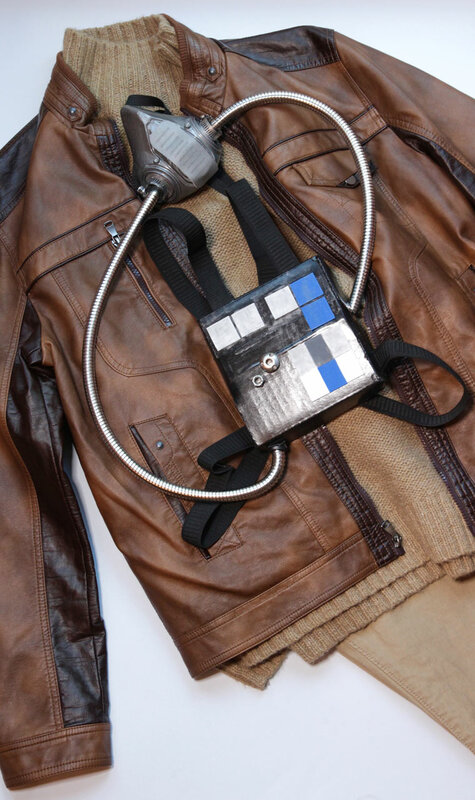 This jacket will also come in handy when you visit Hoth, if you’re cosplaying as Han Solo in The Empire Strikes Back! Cut 2 strips of fabric measuring 4 ½” wide and 1 3/4 yards long. Sew the pleats in place on both the right and left sides of the strip. Remove pins and then press pleats with an iron. Fold under the raw edge of the fabric, pin, then sew. Fold the right and left sides so the strip measures 2 ¼” wide. Press fabric with iron. Repeat steps 2-4 for strip #2. 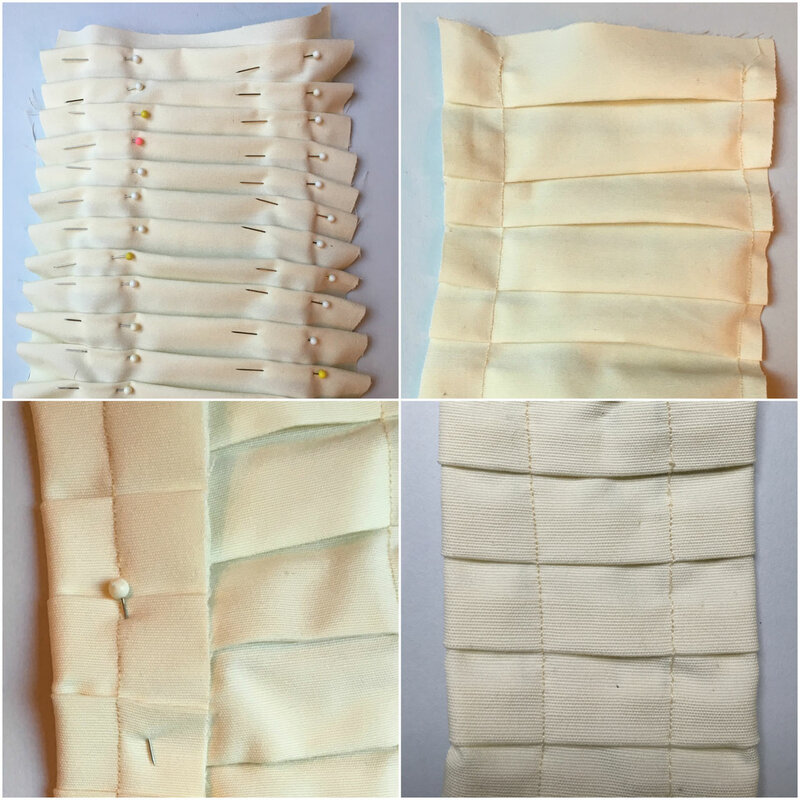 Pin the strips onto each arm of the jacket, then hand sew. 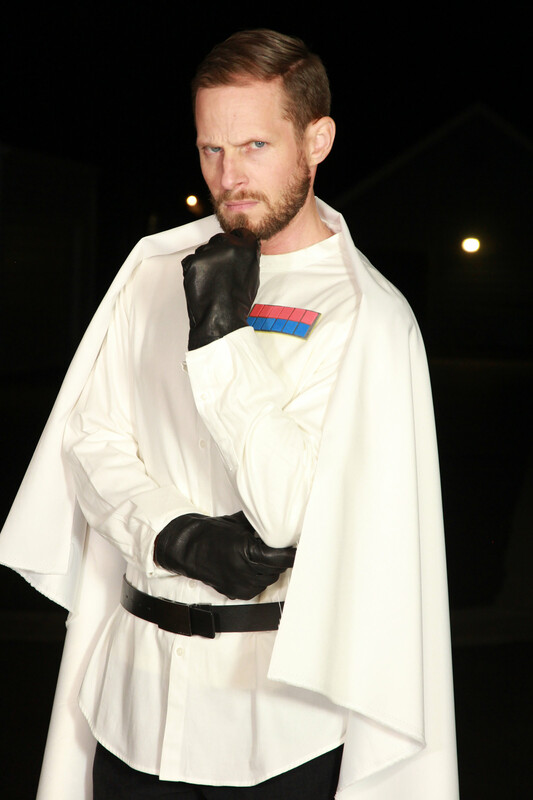 Director Krennic is known for his brilliance, ruthlessness, and that billowing white cape! He also wears a crisp white Imperial uniform, so to get a similar look, try a dress shirt with a banded collar or mandarin collar. 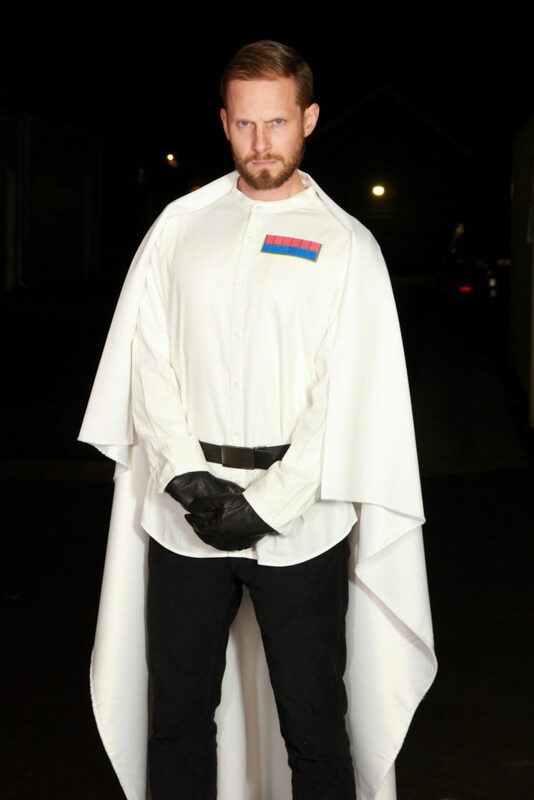 You won’t need to call on one of the Empire’s expert tailors because the cape for this costume is super-easy to make. No sewing skills are necessary, but a dramatic entrance into the movie theater will still be in order. Cut a piece of craft foam measuring 4 ½” long and 1 ¾” wide. Paint the badge strip using the silver acrylic paint, let dry completely. Cut 6 red rectangles and 6 blue rectangles. Arrange the rectangles into 2 rows on the badge and secure it with hot glue or double sided tape. Attach a strip of Velcro to the plain side of the badge and the left side of your white shirt. Attach Velcro to the shoulders of your white shirt (keeping both sides of the Velcro still stuck together). Drape the white fabric evenly around your shoulders. 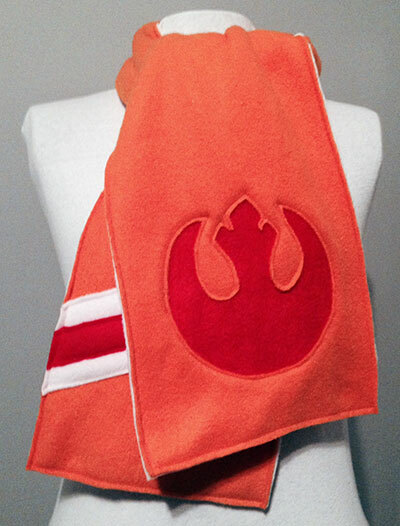 Press the fabric down onto the top piece of the Velcro so it sticks to the cape. For extra security, I recommend hand stitching the Velcro pieces onto the cape and the shirt. This will keep the cape perfectly in place all day long! It wouldn’t be a Rogue One party without the rebel leader herself, Jyn Erso! This costume is extremely comfortable and the best part is, you might already have most of these pieces in your closet. 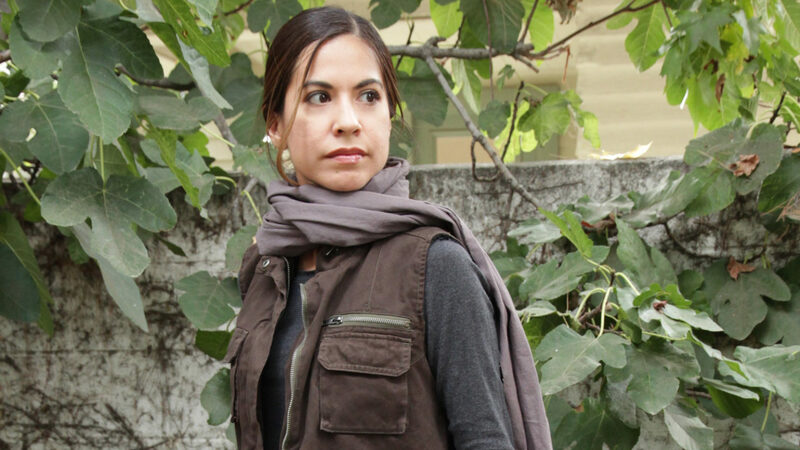 If you can’t find a Jyn Erso-style vest, try altering a jacket instead. This vest was originally an army green jacket, but I altered it by cutting off the sleeves and dying the jacket chocolate brown. 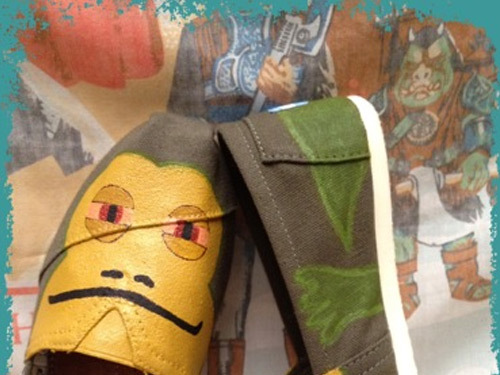 Do you want to strike back against the Empire? 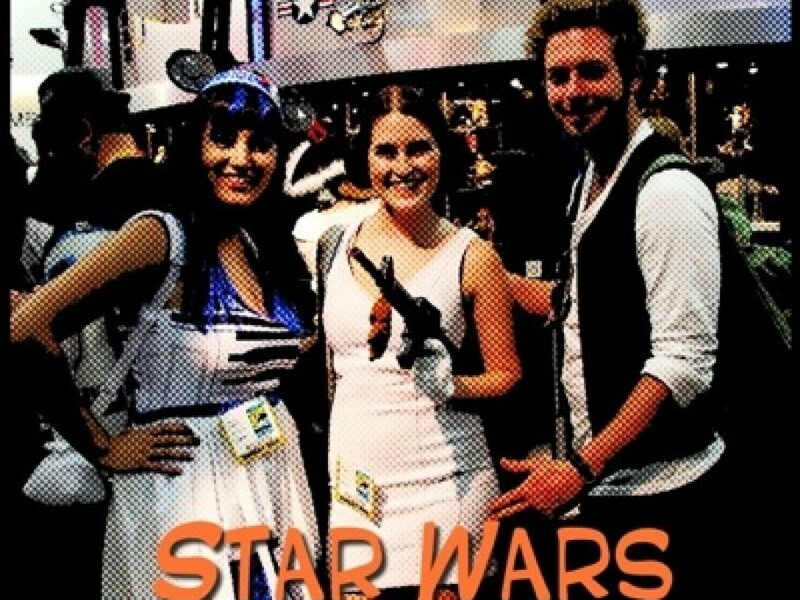 If so, this Edrio Two Tubes costume is perfect for your cause! Edrio’s look is quite complex, so this outfit is a simplified version meant to capture the essence the character. Edrio wears a leather duster, but if you don’t have one on hand, a leather jacket or trench coat is a good alternative. Try an oversized turtleneck sweater to evoke his tunic and neck wrappings. 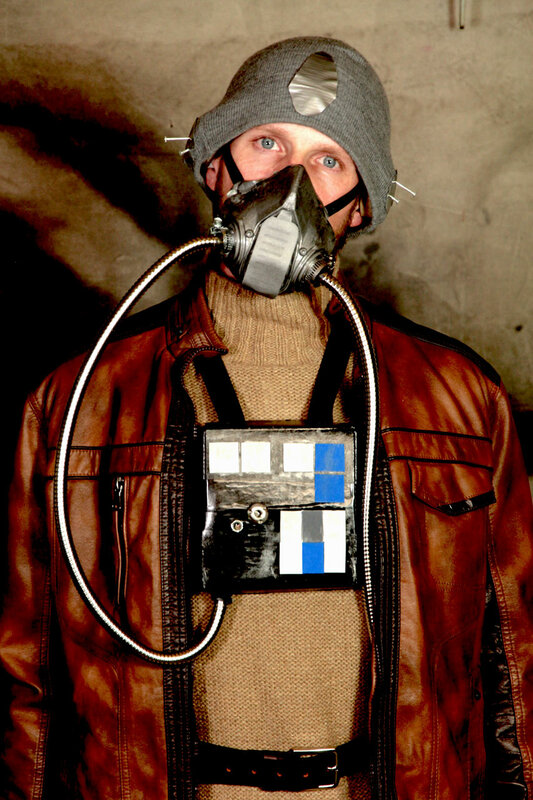 Like Edrio, your outfit will also require you to wear a respirator. And needless to say, it has two tubes. Seal one end of the cardboard box with tape. Cut the box to approximately 1 ½ inches tall. Spray paint black and let it dry completely. 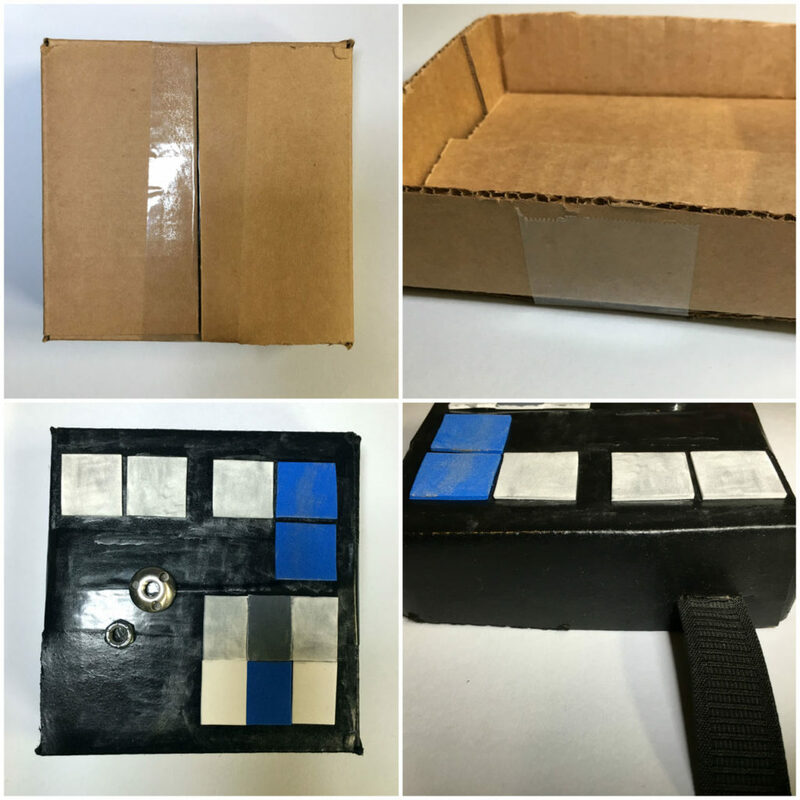 Create chest box buttons using craft foam, then paint with acrylic paint. Add greeblies for extra detail. Cut 1 slit on the top right of the box. Insert elastic, then staple elastic onto the inside of the box. Place the box on your chest and drape the elastic across your right shoulder. Wrap the elastic around the left side of your body until it feels snug. Cut the elastic and be sure to leave a little extra slack. Cut 1 slit on the left side of the box. 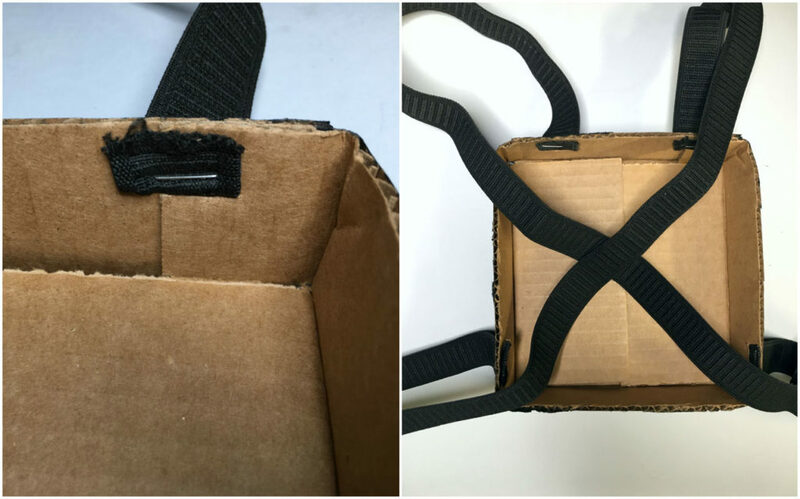 Insert elastic and then staple elastic onto the inside of the box. Repeat steps 5-7 for the opposite side, so you end up with an x-shaped harness. 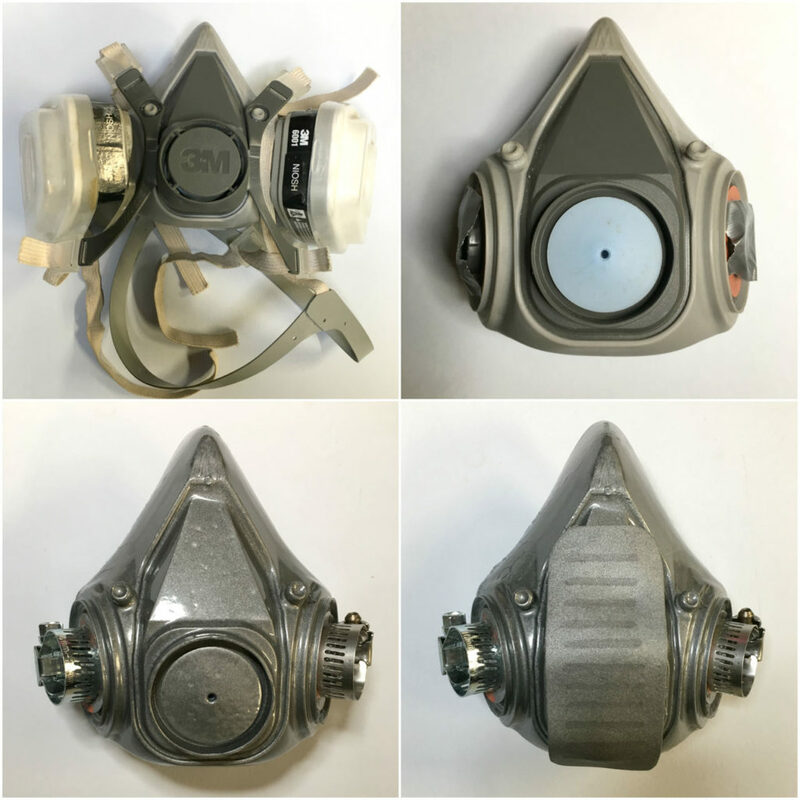 Remove cartridge respirators and face strap, then cover respirator vents with tape. When choosing your spray paint, make sure it will work on rubber and plastic surfaces. You can find some good options at hardware and art supply stores. Apply a light coat of spray paint to the face piece and let it dry completely (at least 24 hours). 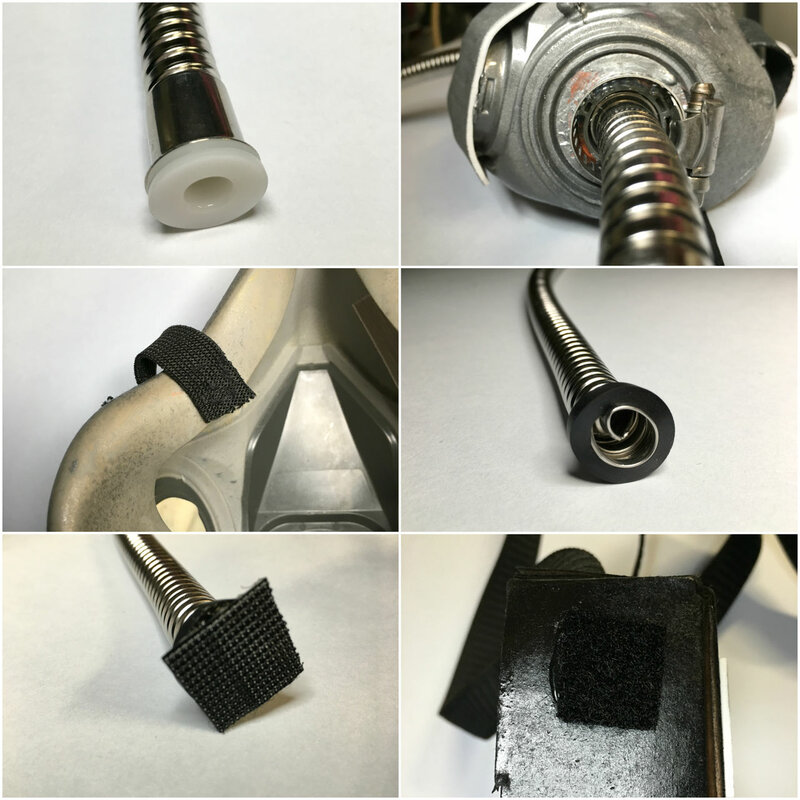 For extra detail, place craft foam on top of front vent and small clamps around respirator vents. Attach all pieces with hot glue. Bend the shower hose in half until it breaks, then use utility scissors to cut through the rubber hose. Use pliers to bend the sharp end of the metal inside the hose. Hand stitch (or safety pin) elastic to the inside of respirator mask. Place on head to determine length and fit, then stitch in place on the other side. On right hose, place the rubber gasket (included in the package) around the unattached end. Attach Velcro to the bottom of the right hose gasket and to the bottom of the chest box (right side). This will allow you to easily get in and out of your costume. When wearing your costume, tuck the unattached left hose into your belt. 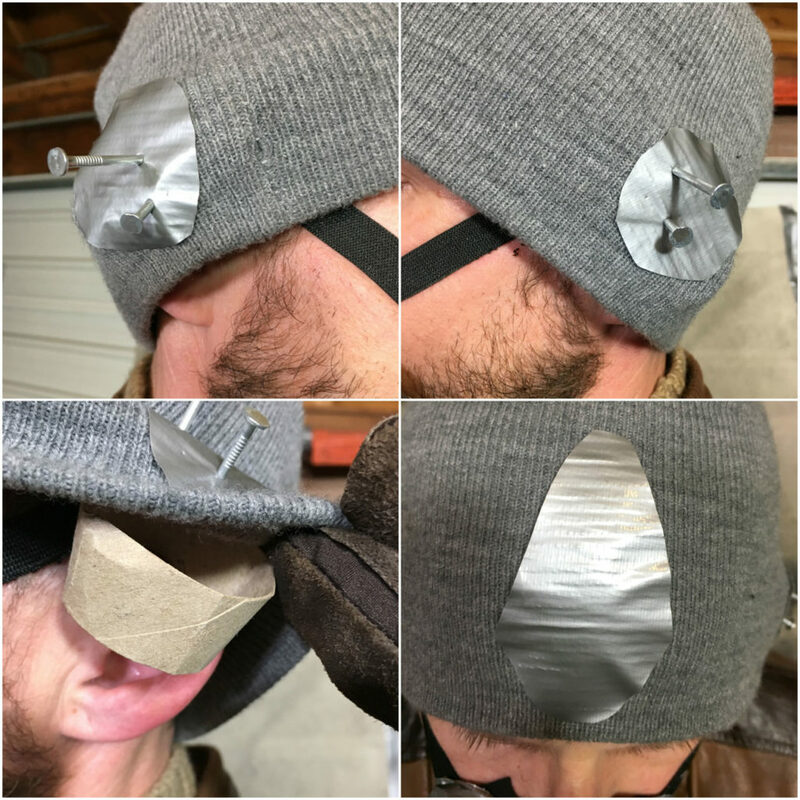 To get Edrio’s unique head details, we added a beanie, screws, and duct tape. We also slipped cardboard circles (made from a toilet paper roll) inside the beanie. So put on your Tognath best or don a majestic Imperial cape, because Rogue One: A Star Wars Story is finally here! 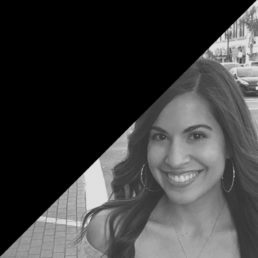 Jennifer Landa is an actress, host, and crafter. 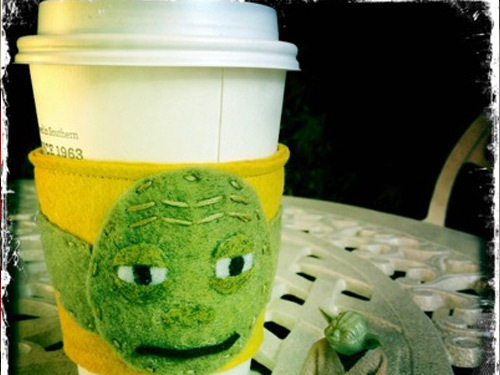 Follow her on Twitter @JenniferLanda and for more Star Wars DIYs, visit her YouTube channel at www.youtube.com/jenniferlanda.